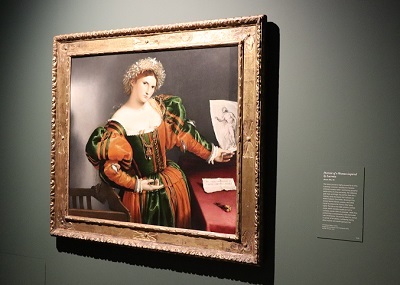 The National Gallery presents the first-ever exhibition of portraits by the Italian Renaissance artist Lorenzo Lotto (1480–1557). 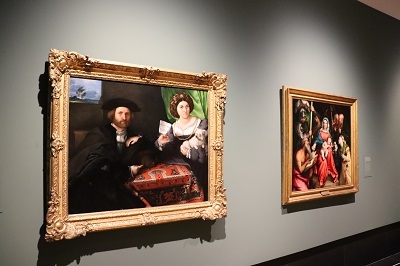 The exhibition entitled Lorenzo Lotto: Portraits brings together many of Lotto’s most important portraits spanning his entire career from collections around the world. Lotto was born in Venice but travelled extensively and worked in different parts of Italy, most notably Treviso, Bergamo, Venice, and the Italian Marches. He spent his final years as a lay member of the confraternity of the Holy House at Loreto (1549–56). 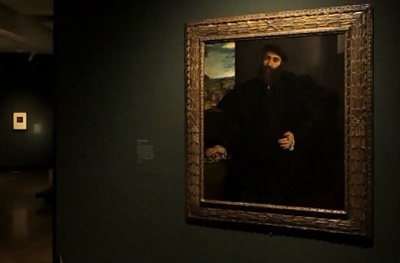 The exhibition is quite unusual for a National Gallery exhibition with objects related to those that Lotto depicted being displayed. 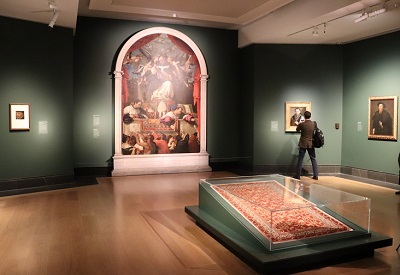 Room one explores Lotto’s work from his time in Treviso (1503–6) and includes the Allegory (1505) from the National Gallery of Art, Washington and the Assumption of the Virgin with Saints Anthony Abbot and Louis of Toulouse (1506) from the Chiesa Prepositurale e Collegiata di Santa Maria Assunta, Asolo. 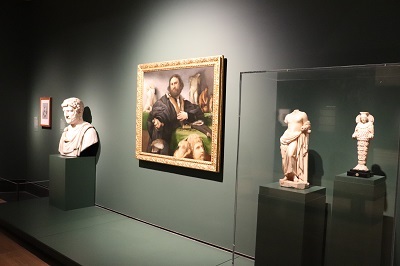 Focusing on his time in Bergamo (1513–25), Room two contains the symbolic Lucina Brembati (about 1520–3) and The Mystic Marriage of Saint Catherine of Alexandria, with Niccolò Bonghi (1523) both from Bergamo’s Accademia Carrara; as well as the Portrait of a Married Couple (1523–4) from the State Hermitage Museum, St Petersburg. It was at this time that Lotto’s reputation increased with compositions full of symbolism and psychological depth. Room three is dedicated to works produced in Venice (1525–49) such as the famous likeness of the Venetian collector Andrea Odoni from the Royal Collection (1527), the National Gallery’s own Portrait of a Woman inspired by Lucretia (about 1530-2) which is full of expression and power and the Portrait of a Young Man with a Lizard (1528–30) from the Gallerie dell’Accademia, Venice. 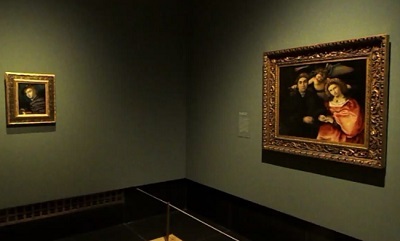 The final room celebrates the late works which is noticeable for their darker elements, Lotto found himself in financial trouble and became disillusioned. The later portraits show a melancholic side that were missing from the early works. Works include the Portrait of a Man with a Felt Hat (1541?) 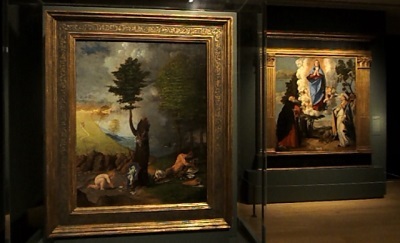 from the National Gallery of Canada, Ottawa, as well as the altarpiece of The Alms of Saint Antoninus of Florence (1540–2). 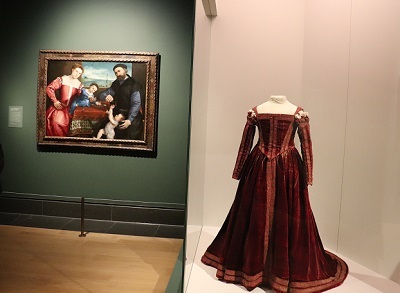 Throughout the exhibition, a number of objects similar to those in the paintings are shown including a carpet, sculpture, jewellery, clothing, and books. Lotto used these items to help to tell the sitters story and gives clues to their character. Although admired in the Italian Renaissance period, Lotto’s reputation was never to reach the heights of his contemporaries like Titian and he has been largely forgotten. However a monograph on Lotto by art historian Bernard Berenson in 1895 generated some interest over the 20th and 21st century. 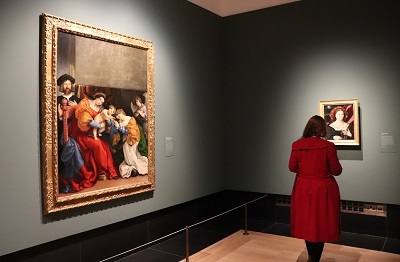 This fascinating and extensive free exhibition will introduce the work of Lorenzo Lotto to a wider audience and gives an opportunity for visitors to consider his most notable portraits in one place. His portraits of a wide range of people are generally full of personality and give considerable insight into the period and the artist. By londonvisitors2014 in Exhibitions on November 1, 2018 .